Customer demands seem to change with the seasons, so it’s no surprise that 74% of those surveyed by IDG found it difficult to keep up. So how can organizations improve their CX? 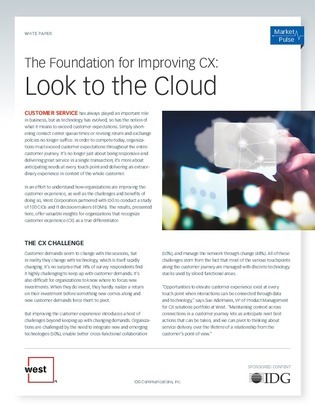 In this white paper, explore how organizations can improve their CX by adopting emerging technologies and moving to the cloud. Find out how a cloud service provider can help your organizations improve, adapt, and sustain customer relationships, not just today but also in the future.